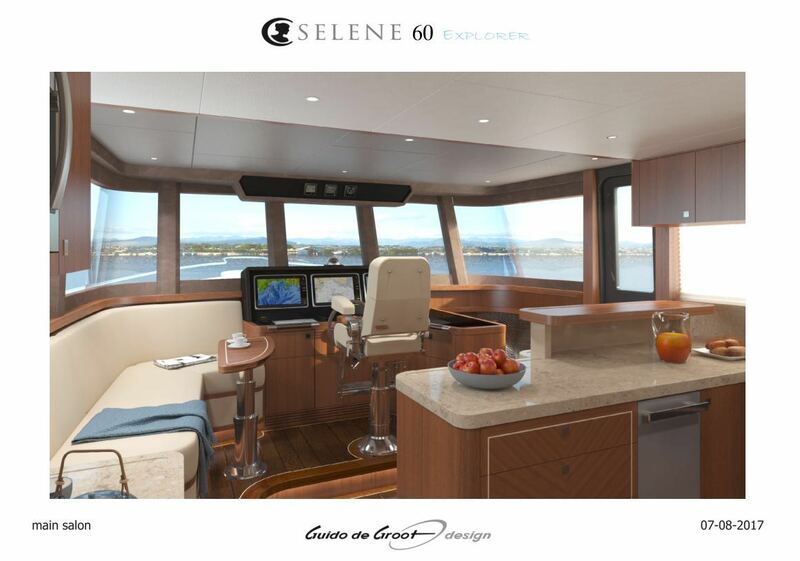 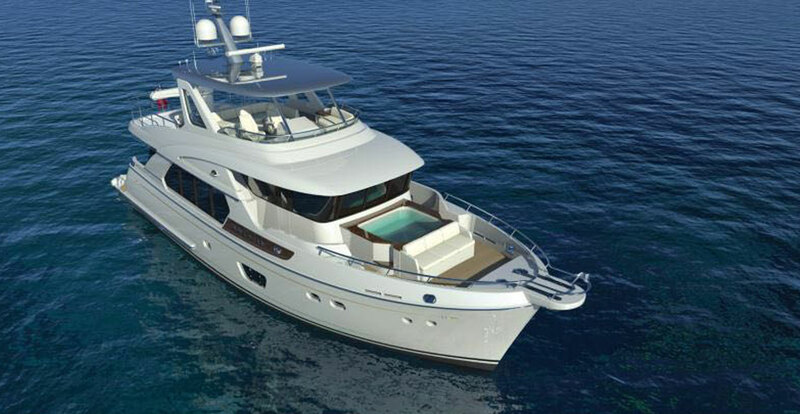 This brand new Selene 60 Ocean Explorer is the smallest vessel of the Selene Explorer line. 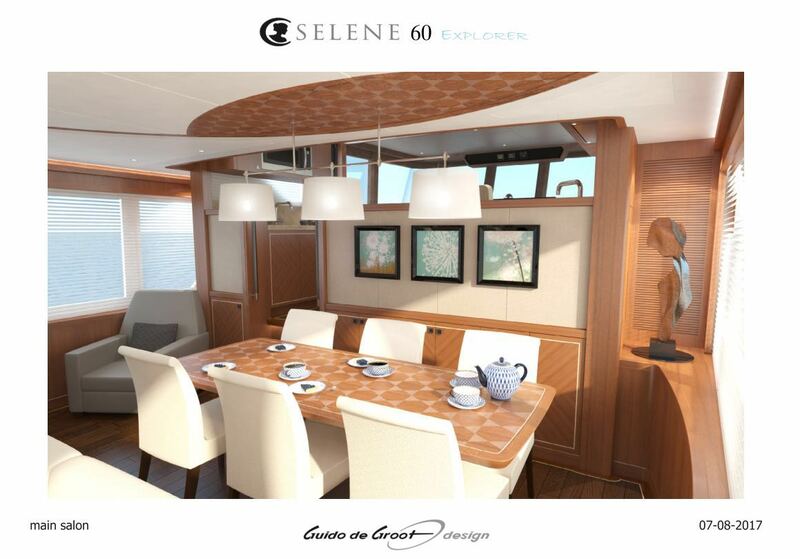 A first look, the Selene 60 Ocean Explorer by Guido de Groot shows a number of the Selene family traits with her powerful raised pilothouse, Portuguese bridge, and bulbous bow. 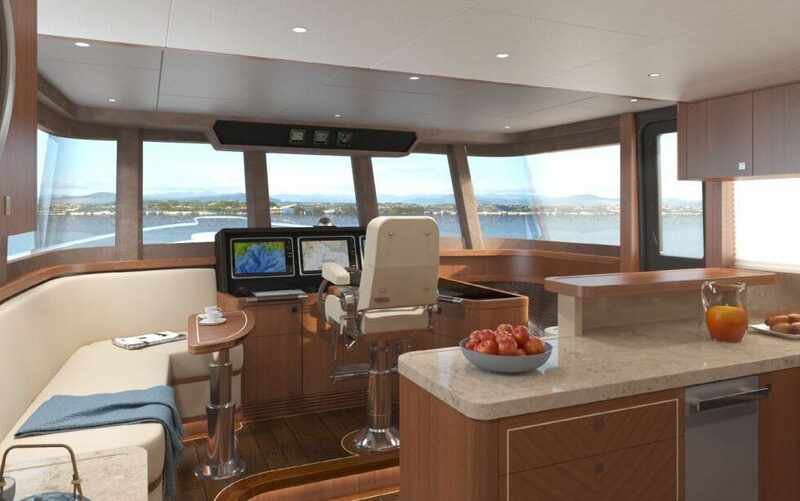 But a contemporary twist is also apparent in the addition of the large side windows in the hull. 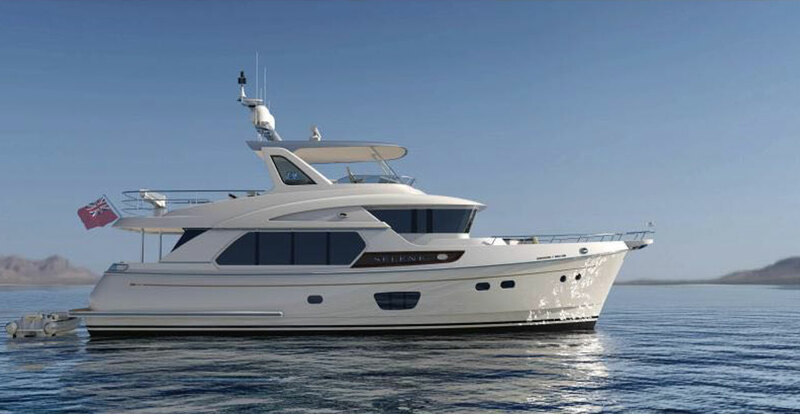 She is sure to appeal to existing owners and boat enthusiasts alike and takes the simple and proven concept of the fuel efficient and seaworthy long range yacht to a new level of luxury that is intended to compete directly with the finest European yards but with all of the advantages of GRP. 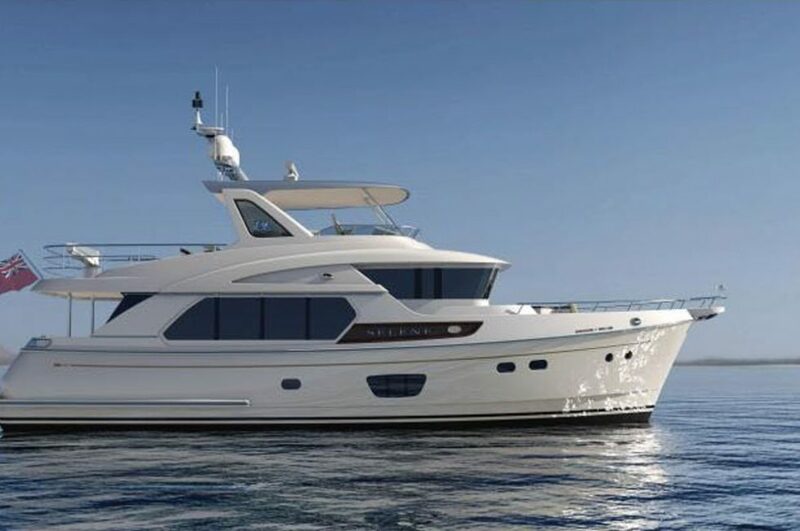 This new yacht has a brand new styling profile and a layout that contains three luxury staterooms and three, or two, bathrooms. 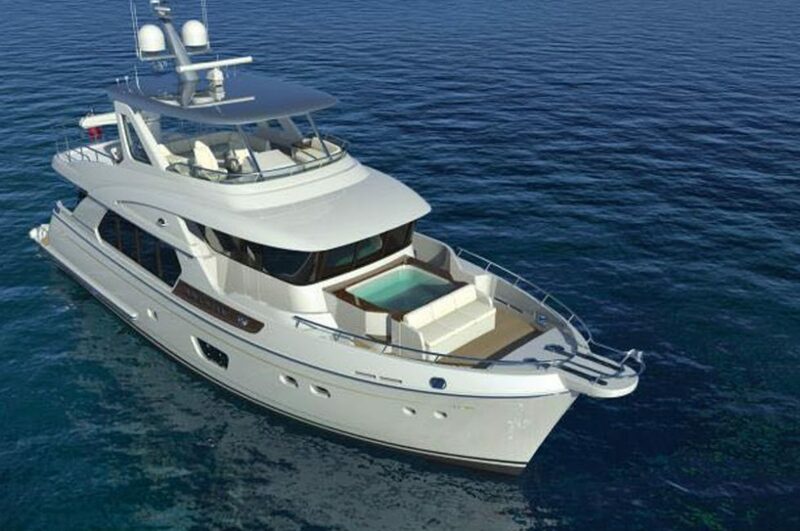 Although the yacht can easily be operated by the owner, it has a comfortable crew quarter aft with full head for a captain or steward, which can also double as a fourth cabin. 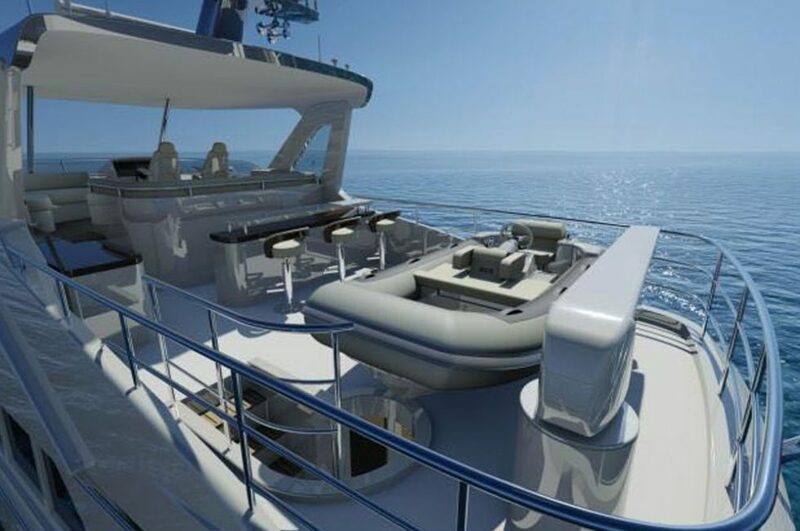 Twin or single Cummins or John Deere engines are available for the propulsion system. 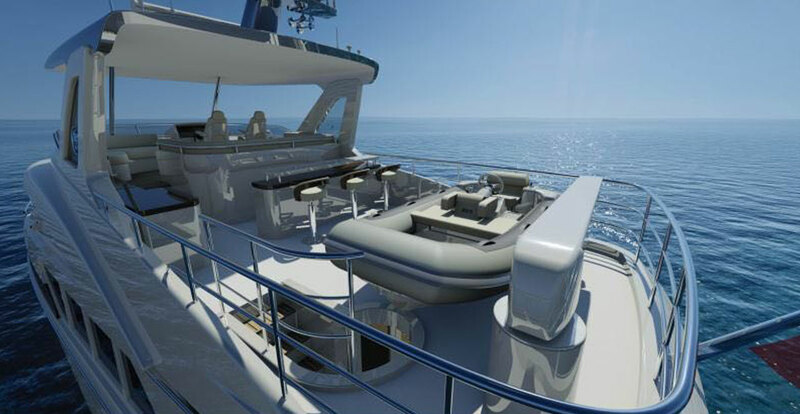 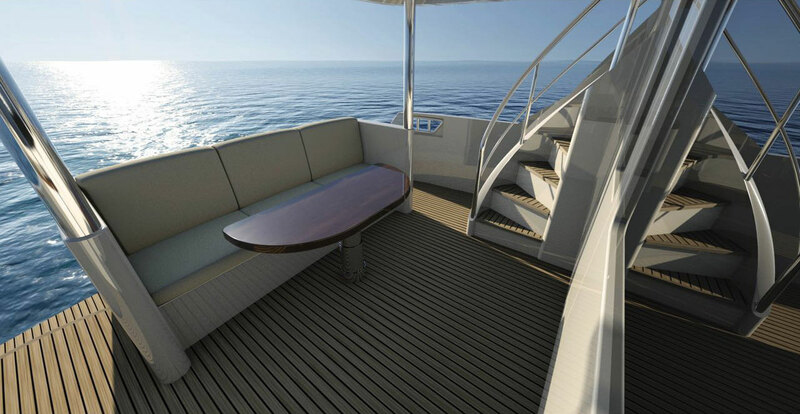 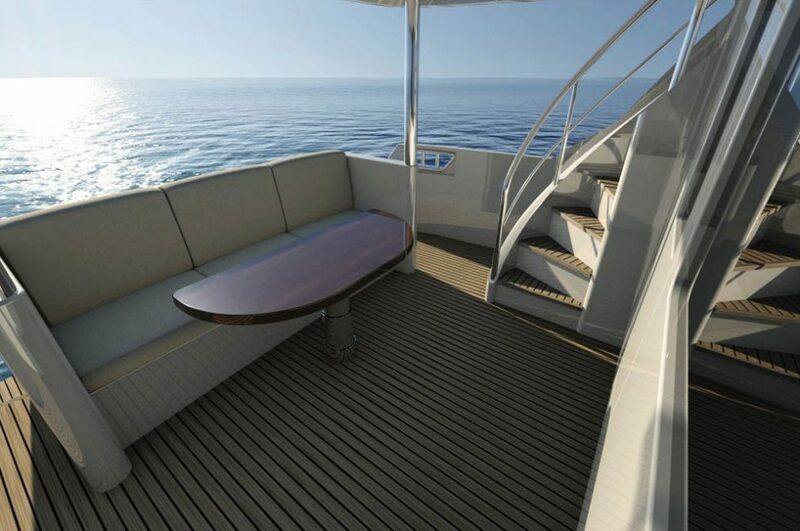 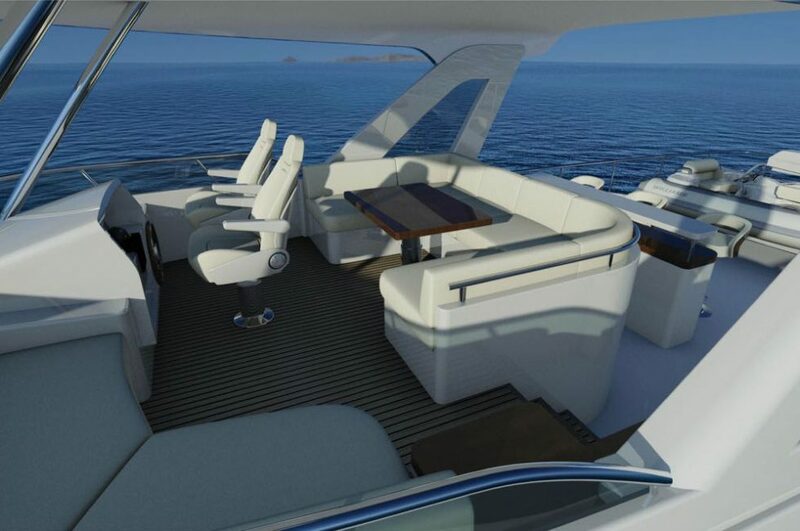 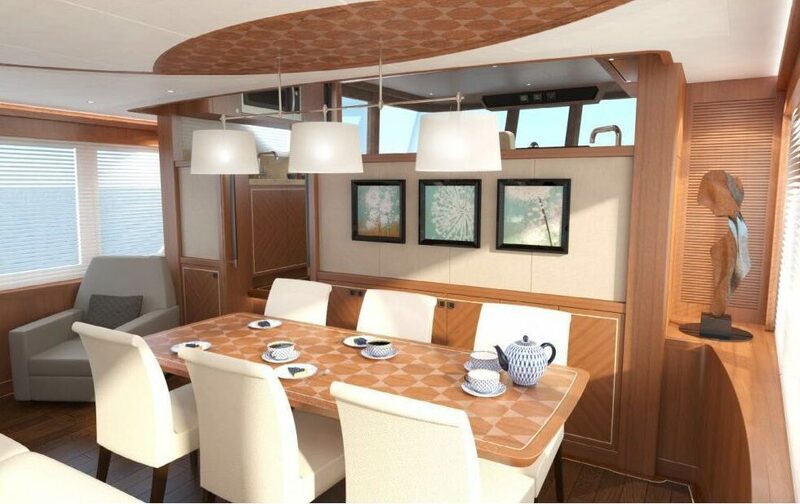 The interior design will be contemporary, similar to the Selene 92 and 72. 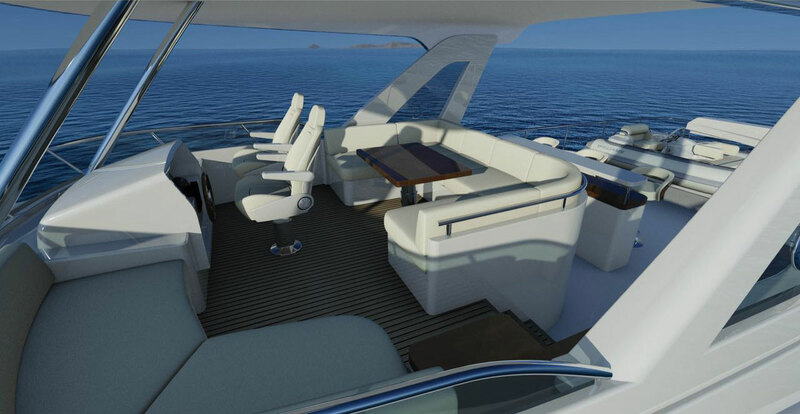 There are three versions to choose from, “Full Wide Body”, “Port Side Wide Body” and “Standard Two Side Decks”.